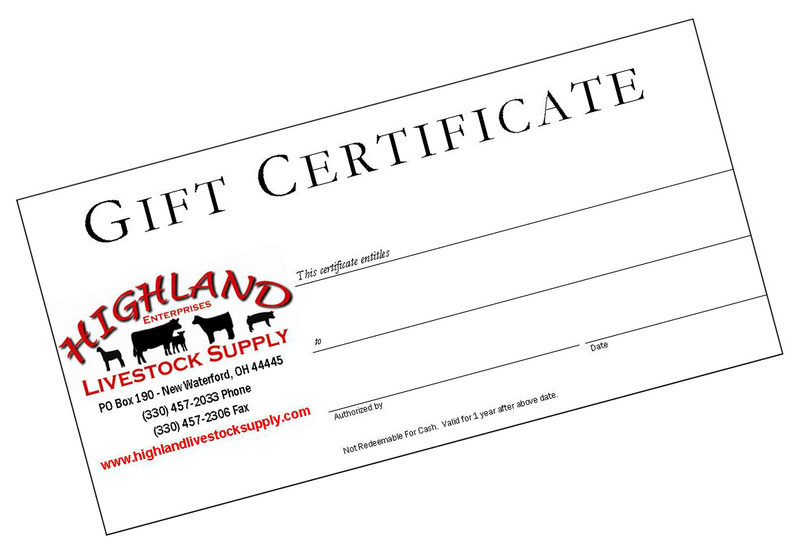 Highland Livestock Supply Gift Certificate [GC] : Highland Livestock Supply, Ltd, Products for all of your show animals! Available in increments of $1.00 - Great for Holidays, Show Prizes & Birthdays. Enter the dollar amount in the quantity box. No decimal points needed. PLEASE NOTE - We mail orders of Gift Certificates at no charge, this is something we have to adjust at the office. Please note if you would like the Gift Certificates shipped by UPS.